CRAZY COOL GROOVY!!! : #BLACKWOMANMAGIC - The REAL HOSTS On The BREAKFAST CLUB!!! #BLACKWOMANMAGIC - The REAL HOSTS On The BREAKFAST CLUB!!! 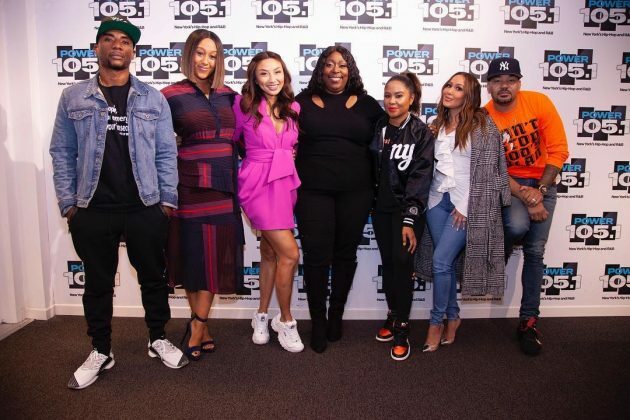 ADRIENNE BAILON, JEANNIE MAI, LONI LOVE, and TAMERA MOWRY-HOUSELY are the four hosts of FOX daytime TV talkfest The REAL, and they recently were at the POWER 105.1 studios in NEW YORK CITY for a session with ANGELA YEE, CHARLAMAGNE Tha GOD, and DJ ENVY for The BREAKFAST CLUB!! !